April had 1,311 plug-in car registrations in the Netherlands, up 123% compared to the same period last year, pulling the year-to-date count to 6,765 units (+128%), and pulling the 2018 share slightly up, to 3.3%. Fully electric cars (BEVs) represented 88% of all PEV sales. The new generation is doing wonders for the Nissan Leaf. After having won in April its first Monthly Best Seller award in 6 years, last month, the Japanese hatchback repeated the feat, thanks to 264 registrations, with Tesla winning the rest of the month’s medals — the Model S was 2nd, with 254 units, and the Model X 3rd, with 173 deliveries. To have an idea on how extraordinary the performance of the Tesla nameplates were, these were the best off-peak-month performances ever by both models in this market, strengthening the theory that Tesla is focusing on export markets during this quarter — to try to delay sales in its home market, the United States, in order to reach the 200,000 registration threshold in July instead of June (significantly extending federal tax credits for Tesla consumers). 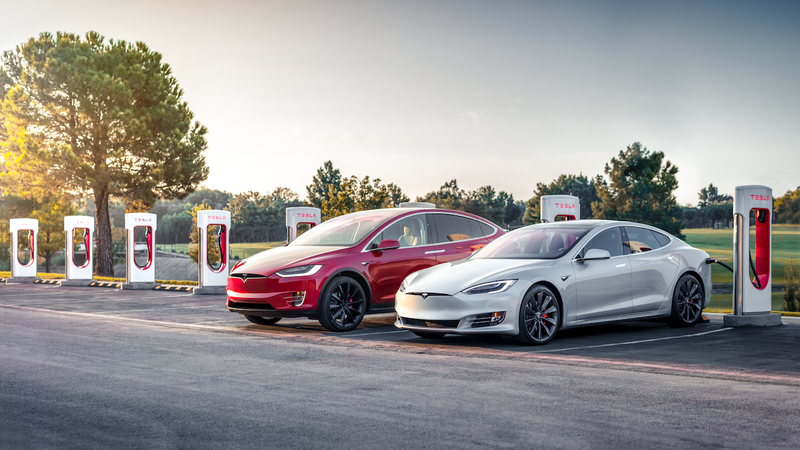 Looking at the 2018 ranking, the Tesla Model S recovered the leadership position, while the #3 Nissan Leaf is now looking dangerously close to the second placed VW e-Golf. The German automaker needs to step up production if it wants to keep the Leaf in the rearview mirror and keep this year’s Best Seller trophy a three-horse race. The Opel Ampera-e recovered one place, climbing to #7, thanks to 85 deliveries, while the Toyota Prius PHEV and Smart Forfour ED each also rose one spot, to #13 and #14, respectively. The leader in the PHEV League continues to be the Porsche Panamera PHEV, with 184 deliveries and #9 in the PEV ranking. But the Best Seller of the Month was the BMW 530e, with 31 deliveries (a new record), or 14% of all 5 Series sales. Elsewhere, the VW e-Up! reappears in the top 20, in #19, now making BEVs the majority in the top 20, with that technology winning 11 to 9 against PHEVs. Interestingly, in #21, we now have the BMW i8, which registered 15 units in May, the nameplate’s best performance in 29 months, if we go back a few years. The BMW sports car was the second plug-in model (the first was the Tesla Model S) to go head to head with its ICE competition, so we hope that the second coming of the i8 can once again make some waves in the sports car class. For now, it’s the third best seller of its class (last month), only behind the new Alpine A110 (16 units) and the almighty Porsche 911 (54). In the manufacturer ranking, Tesla (24%, up 1 percentage point) is in the lead, with Volkswagen (15%, down 2 percentage points) staying in #2. However, the rising #3 Nissan (15%, up 1 percentage point) is closing in and could take VW’s silver medal soon. If we add regular hybrids to plug-ins, the podium is entirely made up of regular hybrids, with the Toyota Yaris Hybrid leading the way, followed by the Kia Niro HEV and the Toyota C-HR Hybrid. However, this time, we do have two plug-ins in the top 5, with the Nissan Leaf in 4th and the Tesla Model S in 5th. 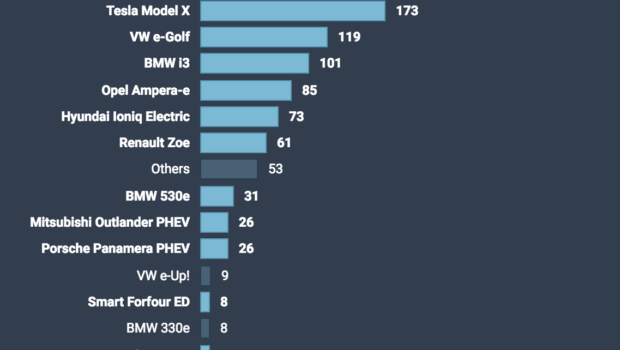 Looking at May registration data, the Tesla Model S managed to steal 1st place from the BMW 5 Series, with the remaining competition ending far behind. Big SUVs had a big hit with the end of PHEV incentives, and only the Volvo XC90 managed to have significant sales, but when the Tesla Model X deliveries are in full swing, like it during last month, there’s really no competition for the American Sports-Minivan-SUV. Summarizing, the three higher end segments (Sedans/SUV/Sports Car) of the Dutch automotive market have plug-ins as major players, proving once again that electrification is easier to do in the higher priced segments.